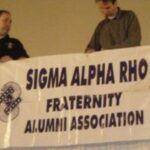 » What Ideas Can I Propose to get Elected as Fraternity Secretary? What Ideas Can I Propose to get Elected as Fraternity Secretary? Secretary tends to be the consolation prize for a lot of fraternity men that didn’t get their first choice of executive positions. Even during my undergraduate time, I joked that the Secretary was only a glorified note taker that just happened to be on the executive board. As I moved along in my college life, I came to see that this was not the case. Wanting to get elected Secretary is only slightly different than getting elected to any other position. Strictly speaking, you’ll want to look at your chapter’s job description for the Secretary. I’m sure they take meeting minutes and keep up correspondence to various entities, so you’ll want to hit on why you fit into that role. Maybe you have excellent rapport with chapter members, other campus Greeks, or campus administrators. That will help with making good use of the Secretary position and your skills. Often times the Secretary attends Inter-Fraternity Council meetings or is responsible for tracking chapter attendance at events of many kinds. This is again another way to hit on your relationships and cooperation with others to earn their respect. My best example comes from my own experience as an IFC Secretary. I wasn’t elected for my not taking or the great minutes that I wrote out. I was elected because I had good relationships on campus with other Greeks and with our university officials. I was also able to bring more to the table than just my job description. I was able to contribute to the bigger picture issues facing the IFC. This can be applied directly to how you can stand out as a candidate for Secretary with your chapter. What do you bring to the table that is bigger than just that position? As mentioned earlier, Secretaries are usually on executive boards. In my fraternity, the Secretary was considered a “top 4” position, along with our President, Vice President, and Treasurer. Not only were they responsible for their positions, but the direction of the chapter and the legacy to be left during their time. As a part of that group, the Secretary has to have the ability to provide insight and leadership in many ways. The Secretary does more for a chapter than serves as their note-taker. You need to be the candidate that can prove that with bigger picture ideas, such as how to effectively market the fraternity or how to improve relationships with other Greek chapters. Little things like that improve every other aspect of chapter operations. If you end up with more specific questions about your individual ideas or concerns, there’s great folks on this site that can give you great advice along with me. Best of luck! 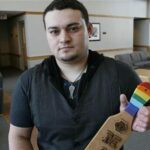 Joe Russo is a Brother in the Bond of Phi Delta Theta’s Ohio Mu chapter at Ashland University. While an undergraduate, Joe served in multiple chapter positions, including chapter president, and was a Phi Delta Theta Peer Mentor. He currently serves as a Chapter Advisor for Phi Delta Theta’s Ohio Kappa chapter at Bowling Green State University. Joe works for American Campus Communities, a student housing company, in Toledo, Ohio. I think the point where it is an executive board position is huge. That means you are in the room when key decisions are made. That is a huge responsibility, and your opinion is critical to the success of your fraternity. National communications awards too. That’s all about the secretary & a stepping stone to bigger national awards. You probably have a historian who is equally bored with his job, but responsible for your annual report, which leads to national awards. Team up & get that done.